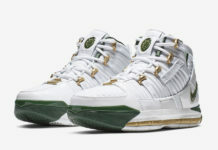 For years now, LeBron James and Nike has teased that the LeBron line could retro. While we usually receive teaser information and samples, here is something a bit more interesting. 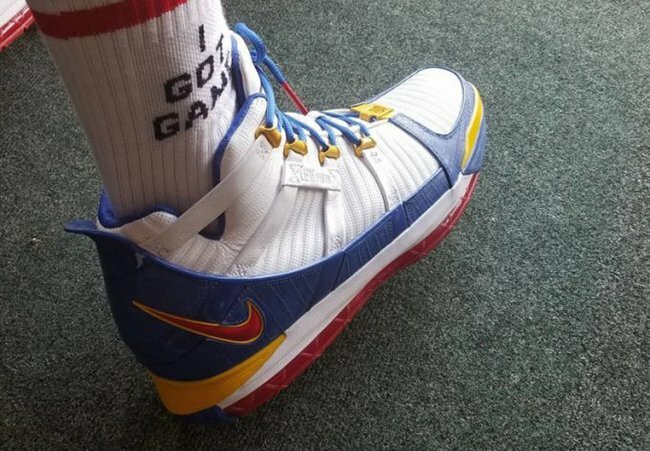 Created back in 2005, James was seen wearing the Nike LeBron 3 Superman PE. 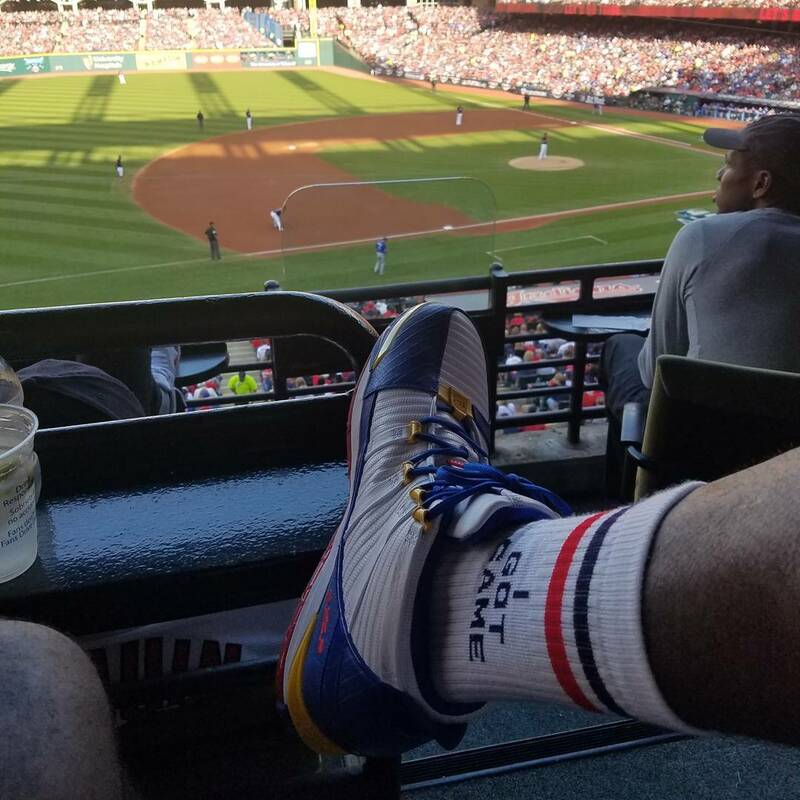 Earlier, LeBron James was spotted at the Cleveland Indians game who is currently taking on the Toronto Blue Jays where he was seen wearing the MVP suited Nike LeBron 3. 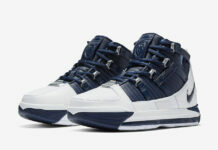 Dubbed Superman, the shoes feature Blue, Yellow and Red to reflect the superhero. The interesting part? The LeBron branding has been updated with ‘LJ’. 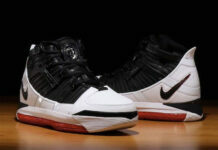 The original release featured ‘LBJ23’. 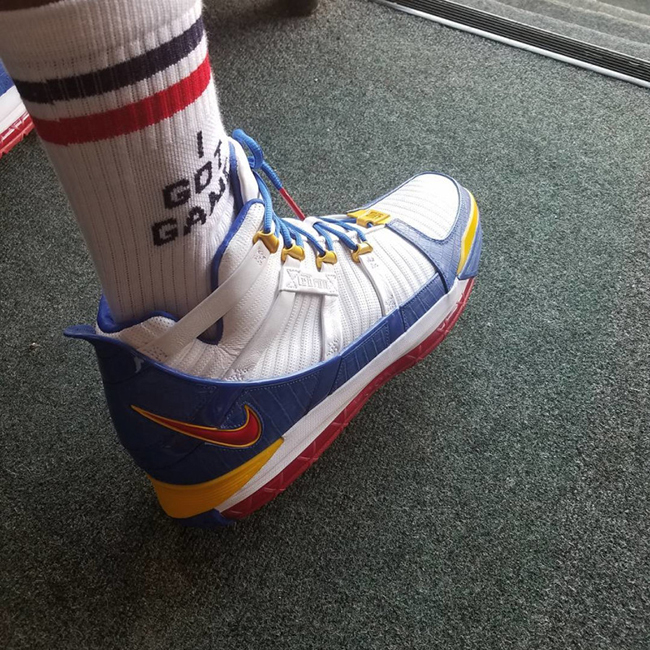 When LeBron shared the images, he used the hashtag #RetrosMaybeYesMaybeNo which once again, teases the potential of a Nike LeBron 3 Superman Retro happening. 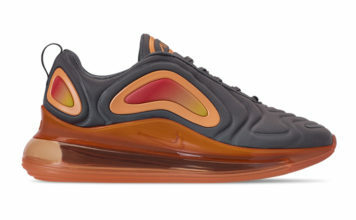 Below you can check out a few more images and let us know in the comments section if you think Nike should retro them.